We are the perfect sized company to take care of you 1 on 1. An Automobile Shipper and Automobile Mover With An Automobile Transporting Service That's Unmatched! 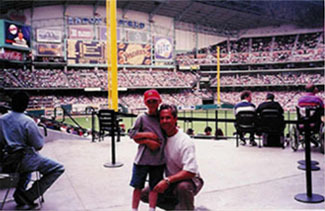 A proud graduate of LSU, Randy was born and raised in Baton Rouge, Louisiana. He has taken his home grown roots and pride in customer service to make Civello a business customers can trust. We look forward to assisting you soon with your automobile transporting needs! With Civello, you'll know your vehicle is in safe hands. We're the automobile mover, automobile and vehicle shipper with years of experience and efficiency behind us! Civello is owned and operated by Randy Civello. Randy started as an owner operator which has enabled him to understand and to provide for every aspect of his customers' needs. 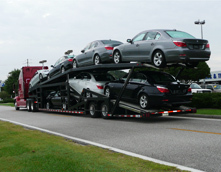 At Civello, we understand that many of you have never shipped a vehicle, a vehicle is an investment, that is why we take care of every detail of the shipment of your auto from origination to destination. We move cars every day and take pride in being highly experienced and efficient. Over the years, this quality of service and experience have made us the automobile shipper, automobile mover you can trust! 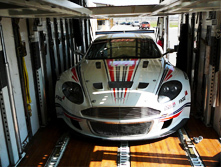 At Civello we deliver - Our drivers are experienced in the art of transporting automobiles. There's simply no other vehicle shipper around like Civello. Many look upon us as their nationwide auto shipper!